There are so many projects that I made before I had a blog. This was one of the reasons why I started Love Bug Living, sharing these ideas and hoping to inspire others. 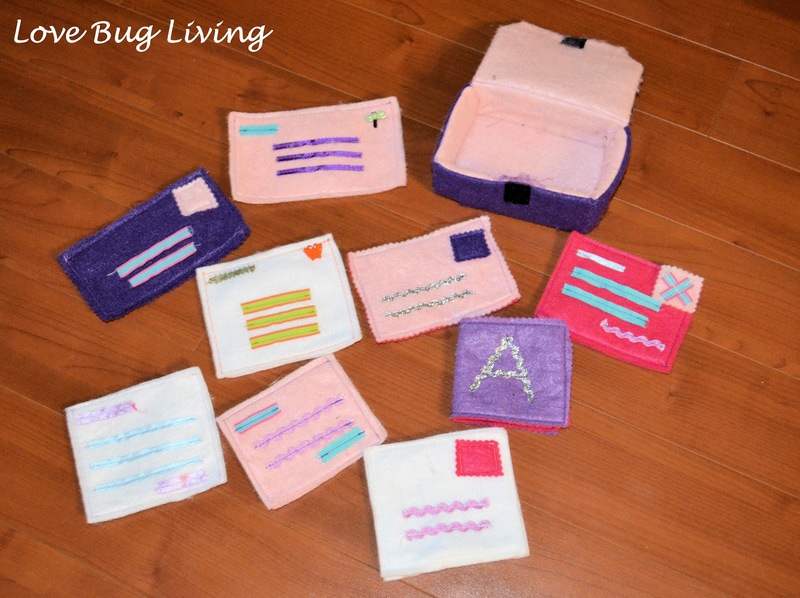 Now I see these projects I made and wish I had photos to share how I made some of them! One of the projects that I love is this felt mailbox and mail I made for my daughter. I don't have pictures on how I made these, but I hope the finished project will inspire you to create your own process. 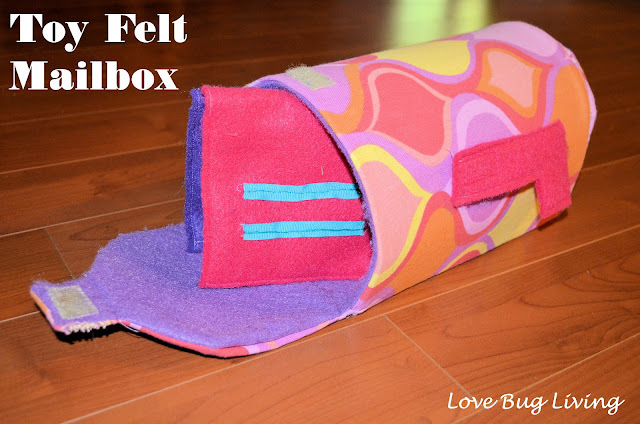 I made this fabric and felt mailbox using plastic mesh sheets to help structure the inside. I love how it opens and closes with the velcro to keep the door closed. 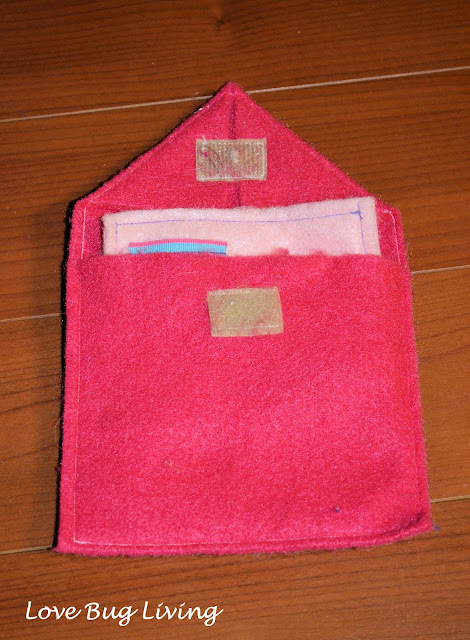 The flag is also attached with velcro so that it can be turned to show whether there is mail in the box or not. I made a bunch of mail for the mailbox as well. For these postcards, I used two sheets of felt sewn together with ribbon to represent the writing and buttons and more felt for stamps. I also made letters in much the same way as the postcards. 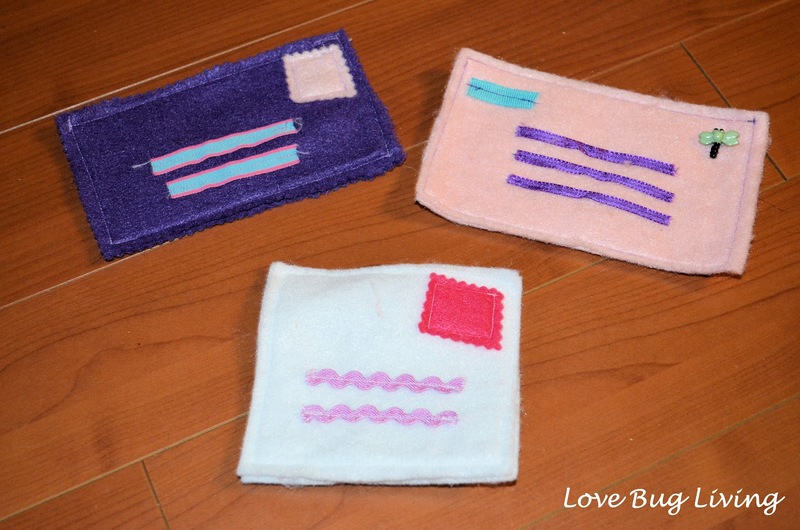 Then I made felt envelopes to hold the letters. More ribbon for the writing, velcro to seal the envelopes, and even velcro stamps. The envelope was a simple project. 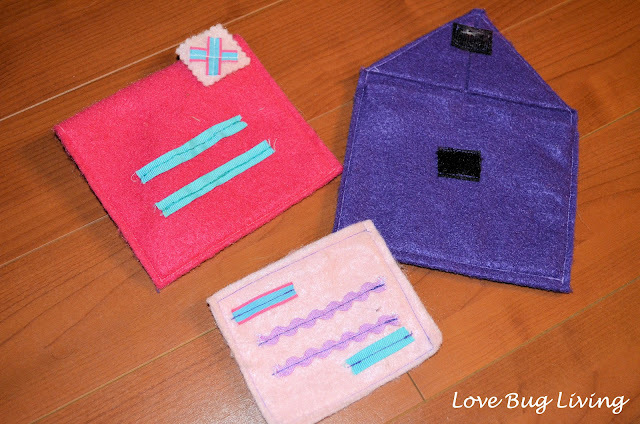 Simply fold a rectangle of felt over to create a pouch and sew the edges. I made a triangle flap, but you could also leave it square.